On Friday, April 20, 2018, 55 classmates accompanied by 25 guests enjoyed a tremendous 55th reunion dinner at the Sheraton Mesa at Wrigleyville West. The doors to Canyon Ballrooms C and E opened at 5:00 pm for check-in with the sounds of '63 being played by our DJ. A sumptuous 3 entree dinner buffet started about 5:45 pm. There was no formal program, simply dinner and time to chat and catch up with fellow alumni. Doors closed at around 9:00 pm, followed by continued conversation and snacks in our hospitality room. Thanks to all who attended. You can view photos of the reunion by going to the website: www.vgroupphotography.com. Click on Galleries then click on Private Events. Click on Mesa High Reunion under Private Events. If you have any questions or need help, please contact either Tom Wolf @ 480-982-4441 (ellobo45@msn.com) or Tonya Coombs @ 480-266-0754 (tonyaclassof63@live.com). 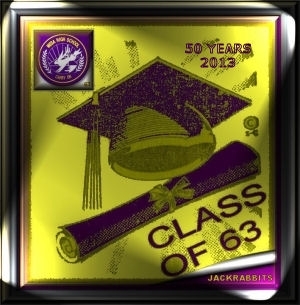 Thank you for taking the time to stop by and visit this Class of 63 web site. We have had 400,222+ hits and counting. While on this Web Site be sure you check out the "DO YOU KNOW BLOG PAGE" On the blog page you can read interesting facts both "Now and Then". You can also add your own facts and leave comments on all the entries. Also, write something on the guest book page to let other classmates know you are around. If you are looking for a classmate the guest book page is a good place to post this. Let people know as well you are planning to attend the golden reunion. 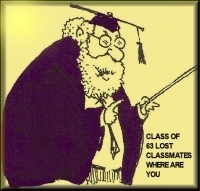 If you would like to join the class facebook group here is the link..
Grade school group photos are in the album section of this site. 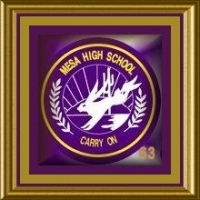 We also have many grade school photos at the link below. Thanks for the help. Some classmates tell me these are the only young photos they have to show their children and grandchildren. WHAT MHS CLASS WON THE GAH -TSO CUP BOTH JUNIOR AND SENIOR YEAR? HOW OFTEN WOULD YOU LIKE TO HAVE REUNIONS?